In my first article about chronic pain I started to explain a little about why chronic pain is different and needs to be treated differently. I talked about the science behind it and how pain works. Now let’s start to put that into context of how chronic pain affects you and how it makes you feel. One of the terms we often use when talking about chronic pain is “central sensitization“. This means that your entirenervous system becomes super sensitive to the tiniest possible pain signal – you quite literally feel more pain. And it is this key process which is the difference between chronic pain and “normal” pain. So what is central sensitization? Imagine you are watching television minding your own business when a big African lion walks into the room. What happens to your body systems? Voice becomes louder and your speech becomes short and sharp. When the lion leaves the room, the body returns to its previous resting state. A chronic pain state with central sensitization is like having this lion following you at all times. This state, which can be perpetuated by many factors, can keep the above changes to your system going relentlessly. One of the key goals of treating a chronic pain patient is not only to find the original source of the pain and help resolve that, but also to tame that lion. So how do these points translate to treating my patients? I believe them. When someone says “doing this hurts” I believe that it hurts them. Pain is personal. And each of my patients has their own personal pain level. I examine the whole body – if pain messages are long term they get confused, so where the patient feels pain might not be the cause. I support and treat the nervous system where these long term pain message get “stuck”. 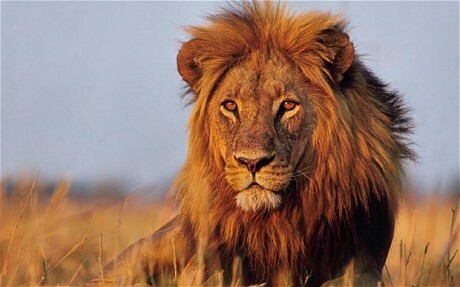 I talk to my patients and support them – often if you understand what is happening and it’s significance it can help enormously and make that lion a lot less scary.